Working with the Farquhar Team made our house hunting experience short and painless! Thanks to the expert coaching, we found the perfect spot and didn't overpay. We would highly recommend this fabulous group to anyone buying or selling! Wow! The Farquhars far exceeded our expectations. They we're extremely professional and ran the selling process exactly as planned. We sold our home for 18% over the asking price. We couldn't be happier. The most impressive quality of your team is the speed of responding to my inquires. Usually I received the answers to my inquiries/requests within the same day. This is certainly a competitive advantage of the Farquhar’s in terms of handling business from people living in a city other than Toronto. Thank you so much for all of your help in the search for our new home. We will always remember how calm and collected you were during negotiations – on Valentine’s Day, no less. With your help, we were able to make the choice that was right for us. “House closes December 1 and I am sooooo ready to pop the bubbly! Massive creds to our new friends Adrienne and Courtney at The Farquhar Advantage. We sold for well over asking and we couldn’t be happier with the above & beyond service. A BIG thank you to the Farquhar team! You helped me buy my condo back in 2005 and did an amazing job selling it for me in 2012! Living in Vancouver, it was a great relief to work with people I trust. Tasi - your professionalism and kindness made all the difference! I will continue to recommend the Farquhar Advantage to all of my friends in Toronto! The Farquhar team lived up to and exceeded expectations. Worked closely with Sarah who was knowledgeable, courteous, quick to respond and patient! She always offered great advice and is also a good listener. Couldn't be happier with the place we found. Having already bought a house prior to selling, it was looking to be a very stressful time for our family to get ready to sell our house. Adrienne and the Farquhar Advantage managed to alleviate a lot of that stress with a very strategic and well organized plan to prepare us for getting our house on the market. In the end, the plan was executed flawlessly, we sold our house for well over asking and they are still involved in helping us transition to out new house post sale. It has been an excellent experience. Thank you so much for helping me make one of the biggest decisions in my life. Your professionalism & kindness made condo-buying so much fun. I can’t wait to make the move! You have made the transition from living downtown Toronto to southern Etobicoke very smooth. We are grateful for your tireless effort, honesty, attention to detail and dedication to representing our needs. My real estate experience with the Farquhar team was excellent ---they were prompt returning my telephone calls, were friendly, and were ready to offer advice & knowledge. Working with the Farquhar team is like having family there to support you through every step of the way. Their honest, enthusiastic approach makes selling your home a stress free and fun experience, especially when you get an amazing return on your investment! They are truly exceptional in everything they do and we look forward to working with them again in the future. Both Tasi and Adrienne are knowledgeable and professional. Tasi says her team is great, and it is! I was impressed by how efficient and thorough Tasi's Client Coordinator Shai is, promptly providing info regarding handymen, cleaners, garbage disposal etc. The people/ companies suggested did excellent work for reasonable rates and in a timely fashion. We felt very comfortable in their capable hands and have already referred them to family and friends who have bought in the city! Adrienne has been absolutely fantastic to work with - from her expert knowledge of the market and appropriate pricing strategy to marketing and showings. My house was sold in less than a month for 99% of asking; I couldn’t be happier - I would most definitely recommend anyone to work with Adrienne and her team! Chris and I would like to thank the Farquhar Advantage for helping us find our perfect home! It took us over 6 months to find our home and despite this, Sarah was very helpful, patient and quick to respond to our questions and inquiries. We felt like you had our back in this process and we really appreciate it. 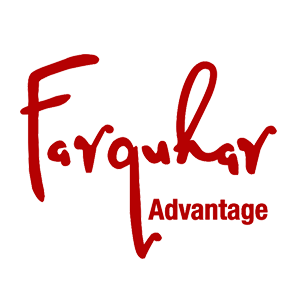 I have used the Farquhar advantage to find and sell my last 3 homes and I have always been so impressed with their service and dedication. A very hearty thank you to you two for all of your hard work in helping us find our home. Your resourcefulness, responsiveness and general “amazingness” made you galls so incredible to deal with! The home we found absolutely meets all of our key must haves and we love it! Thanks again team, you are amazing! The entire Farquhar team helped us buy a condo that was perfectly suited for our needs. Adrienne, Courtney and Shawn were always available for viewings as well as offering professional opinions for each potential purchase. The Farquhar team is my only real estate choice. Thanks for helping find our perfect condo! Working with the Farquhar team was a great experience for us. We relied heavily on the knowledge and experience of Adrienne, Tasi, and Norm to decide when to list our property and the pricing strategy we used. In the end, we sold our property quickly and realized a price well beyond our expectations. There is no doubt that we made the right choice when we selected the Farquhar team to help us sell our property! The experience with the Farquhar team was outstanding.I always felt that I was being looked after.I knew I was working with extremely competent people. We had such a great experience working with Courtney and Tasi with the sale of our family home. It was an emotional experience for us, but Courtney was incredibly patient and helpful as we worked through the sale - from staying and cleaning all the way to the close. Thank you for all your help - it has been a wonderful experience and we couldn't have been happier! We want to thank you for everything you did to achieve the selling of our condo. You worked so diligently through the entire process. There was a lot of work in the listing stage and we were happy with how you presented our condo. We appreciated that you gave us feedback consistently. We know it is a time consuming process and we were grateful for every note you sent. Your emails kept us hopeful that the grand ending was actually in sight and that day by day and showing by showing we were inching our way to a "SOLD" sign. Last night you had many things to balance. You handled the entire matter very professionally and offered advice and support as needed. You were clear and consistent, empathic and yet focussed. Most people fall short in some aspect of their job but we felt you did not. You excelled in all aspects of the process and we benefitted from your experience and confidence. We will be pleased to recommend your services to our friends and family in the future and we sincerely thank you for your excellent work. We have enjoyed getting to know you and wish you all the best both professional and personally. We had a great experience with the Farquhar team. While we were away, Courtney was able to go above and beyond. With her coordination, she was able to help us remotely take on a bully offer and win the deal. Most importantly, Adrienne and Courtney are truly nice people. No pressure tactics. They want to make sure you choose the place you want and they will negotiate hard on your behalf to get it for you." Adrienne, Courtney and Shawn were an experienced team who supported us every step of the way through our selling process. Their organization and willingness to manage even the smallest of details allowed us to have peace of mind throughout. We were most appreciative of their ability to coach and prepare us for the offer process. Their negotiation skills were highly impressive! When asked what I liked best about the Farquhar's services, I can honestly answer everything! From the professionalism, the ease of doing business with Tasi, her exceptional organizational skills - everything was exemplary. In particular, her knowledge of the market and offer process enabled us to get the best value for our home. From start to finish, it was a pleasure to work with her team. I can't recommend them highly enough. Adrienne Farquhar and her team took control of our transaction and achieved the desired outcome we wanted, quickly and efficiently. They know their business and how to deliver results to their clients. Thank you to the whole Farquhar Team! What an amazing job you did. You handled everything with skill and compassion. On both the buying and selling ends, your knowledge and experience got wonderful results for us, and you accomplished it all with such a personal, warm, supportive manner. You are so much more than real estate agents, and we so appreciate all you did for our family. We won't hesitate to recommend you to anyone we know who is in the market! We were impressed and delighted with the Farquhar team. They demonstrated professionalism, tenacity and attention to detail. And in a situation that was complicated and sometimes difficult they expressed sensitivity. The ultimate result exceeded our expectations! It’s all about sharing great experiences so that others can benefit too…..we would highly recommend the Farquhar Team to anyone who is considering buying or selling property. They truly do what is best for their clients. Tasi, Norm and their team helped us throughout the entire process. They stayed with us before, during and after the deal and provided us with helpful information on moving and what to expect in the time leading up to and following closing including checklists of items to consider. They were available anytime we had questions or needed help. We became not just agent and client, or even neighbours, but also I am delighted to consider the Farquhars good friends! Thank you to the Farquhar team. We have worked with this team for FOUR properties now and we are always impressed with the level of service and dedication we receive. Phone calls and e-mails are always promptly responded to and negotiations are effective. We would not consider working with anyone else even though we have met many, many agents over the years. Our homes have always sold for top dollar (surpassing even our own expectations) and we have always been able to find a home that is just right for our family. In Toronto you need to get in as soon as you find the one and we have been able to do that several times knowing that we have a great understanding of the market from the team. Currently, we are enjoying our new home in Bloor West and we could not be happier. The Toronto Real Estate market demands experienced, capable and skilled agents and the Farquhar team does not disappoint. The entire team are warm, friendly and caring individuals who are a pleasure to work with. We look forward to working with them again for house #5 when the time comes. Toronto real estate can be stressful and full of pitfalls. Many people overpay by thousands only to find problems later. Others sell for less than they should. This team really cares about their clients and they are not just looking for a quick commission. Make life easier and contact this team-you will not regret it.